Mold may be a naturally occurring substance, but in this case “natural” doesn’t mean safe. Left untreated, mold can damage your home and cause health problems. The Environmental Protection Agency (EPA) wants everyone to know these 10 facts about mold, for your safety, and the safety of your property. 1. Exposure to mold can cause or aggravate allergic reactions, asthma and other respiratory issues. 2. Mold is present in the air and it’s virtually impossible to remove their microscopic spores indoors. 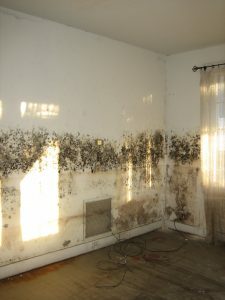 The only way to prevent mold growth is to control indoor moisture and humidity levels. 3. If you find mold growth, you have to remove it and eliminate the source of the moisture. Otherwise, it will just grow back. 4. Don’t put off repairs; prevent mold growth by fixing leaks promptly. 6. Clean and dry any damp or wet areas of your home within 24-48 hours to prevent mold growth. 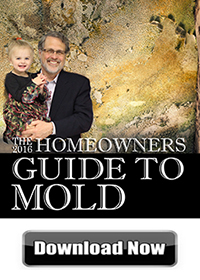 Don’t forget, mold can grow on building materials, upholstery, and cloth. 7. Mold can be cleaned off of hard surfaces with water and detergent, but be sure to dry completely. Porous materials such as ceiling tiles may be too difficult to clean and should be replaced. 8. Mold can grow on windows, piping, exterior walls, roof, and floors because of a buildup of condensation. This can easily be prevented by adding insulation. 9. The best way to avoid a moldy carpet is to keep it away from high moisture areas, like near drinking fountains, or on concrete floors with leaks or frequent condensation. A carpeted basement may look nice, but not if your basement floods regularly. 10. Mold spores can be found almost anywhere and can grow on almost any substance as long as there is moisture. No home is completely safe from mold, so if you find mold growth in your home or building in the Alexandria, VA or Washington, DC, area, call the experts at ServiceMaster NCR. Our highly trained mold remediation technicians use InstaScope to quickly detect mold, even in hidden areas. The Trifect mold removal system uses new technology to quickly and safely restore your home or business.